Piyatida Kosonwadee (Pang) 郭永芳 comes from Thailand. She currently studies at Feng Chia University, majoring in Chinese Literature.She very much enjoys Chinese, so she chose to study in Taiwan. 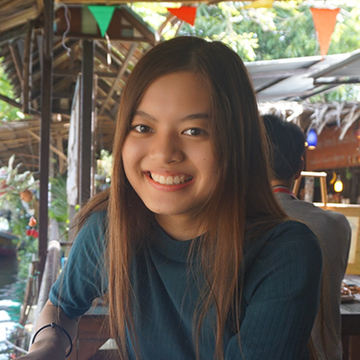 During her first year at Feng Chia, she joined several activities, like Songkran Festival, the International Food Festival, a speech on the culture of Thailand, and a writing contest. She learned many things that she hasn’t seen before from those activities. 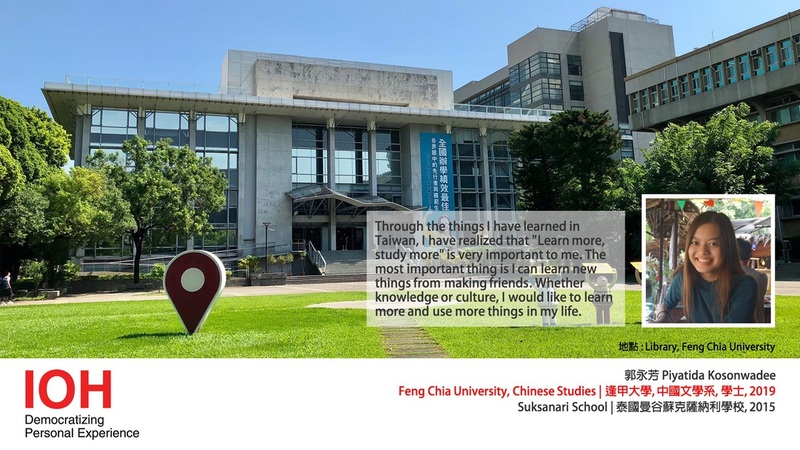 She hopes that she can spread what she learns in Taiwan, and enjoy more experiences here. This talk is sponsored by Mr Chang. He wants to encourage people to be more passionate. Production assisted by FCU and IOH Helper Lily Lin.